You think your friendships are awesome? 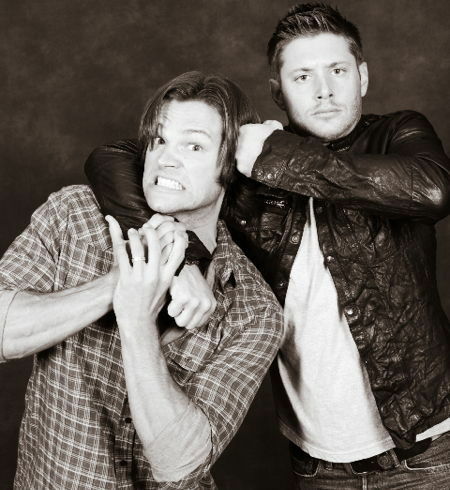 Well, they've got nothing on these Supernatural co-stars! 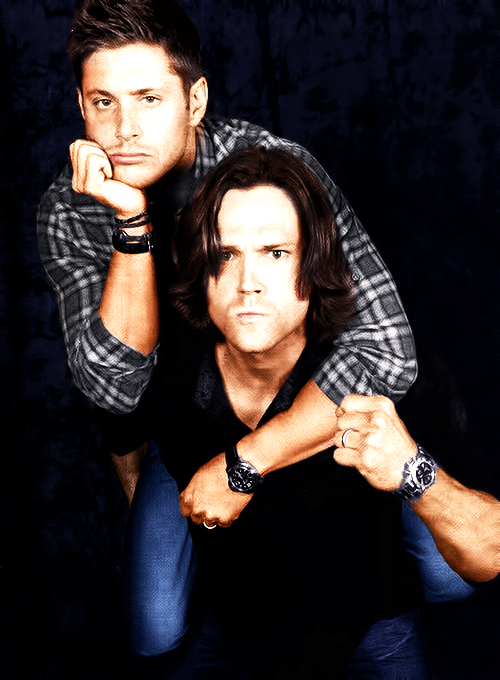 You may recognize them from their roles as Sam and Dean Winchester on Supernatural. These co-stars quickly went from being on-screen brothers to real life best friends. As the stars of a tv show, they keep each other from being too serious. So much so that you might question if they're actually reverting in age. When the occasion calls for it, they aren't afraid to hug it out. Or anytime they feel like it really. Dressing alike occurs often enough that they have back-up plans. But, those don't always work out. To the point that you can't tell if they own the same shirt or just share it. Prior to getting married to their wives, they lived together. 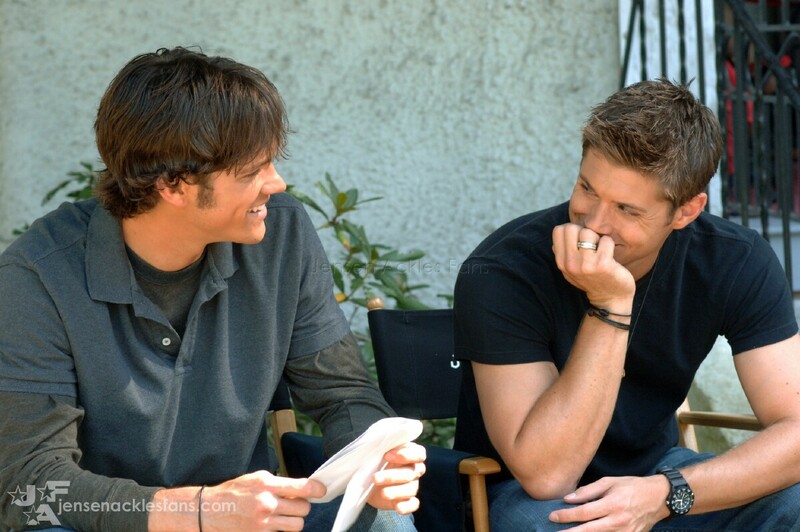 -Jensen: Nine months out of the year, we're stuck with each other literally 24/7 a week...we're constantly together. And even when we're not actually working together....we always find ourselves choosing to hang out and be together. 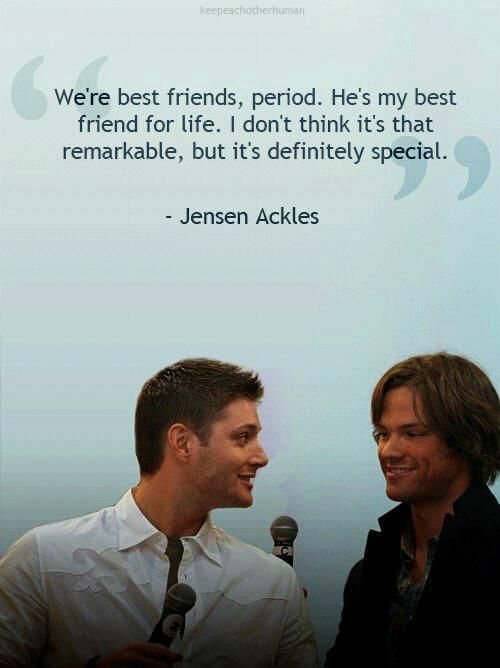 -Jared: We even lived with each other! 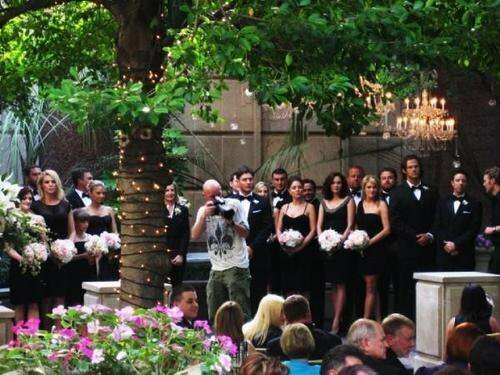 -Jared: We were in each other's weddings! 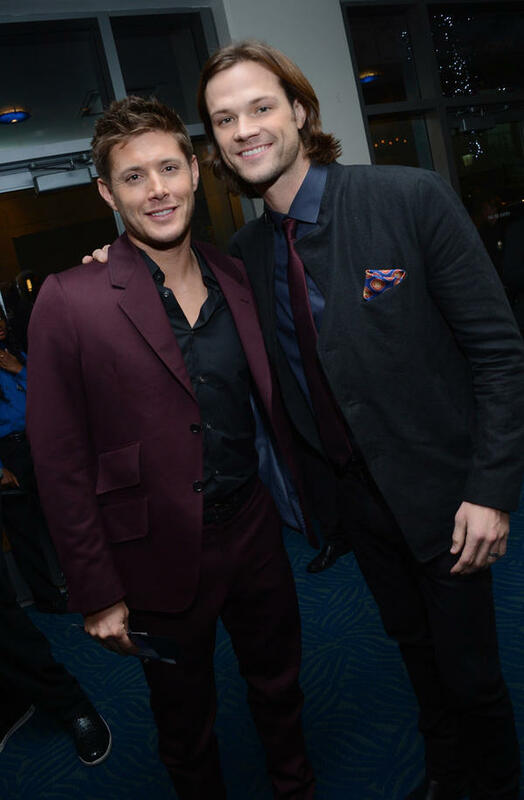 -Jared: And when we leave Canada for break we're combining our families to do Christmas together in Texas this year! Yes, not only were they in each other's weddings, but they now have huge family Christmas celebrations. And they can always count on one another to have their back. Just in case their bromance is still in question, let's hear from them. 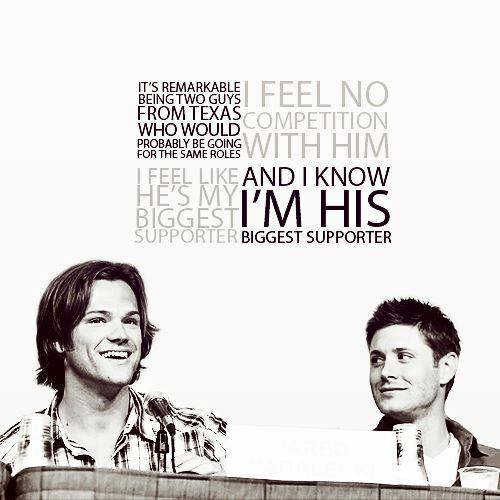 "When Jared and I met, we kind of instantly became friends. He's five years younger than me, so it was cool. I knew what it felt like to be an older brother and he knew what it felt like to be a younger brother -- we just kind of fell into a nice rhythm." Verdict: The most amazing celebrity friendship we can't get enough of.